Yared Zeleke's remarkable feature debut tells the story of young Ephraim, a half-Jewish, Ethiopian boy who is sent by his father to live among distant relatives after his mother's death. Ephraim uses his cooking skills to carve out a place among his cousins, but when his uncle decides that his beloved sheep must be sacrificed for the next religious feast, he will do anything to save the animal and return home. Drawing amazing performances from his cast of professional and non-professional actors, first time filmmaker Yared Zeleke tells his deceptively simple story with a refreshing honesty and naturalness. 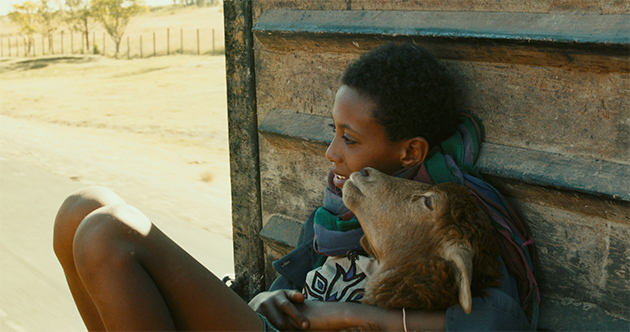 Beautifully shot against the majestic backdrop of Ethiopia's southern mountains, LAMB is an affecting tale about what people will risk in order to take charge of their own destinies. 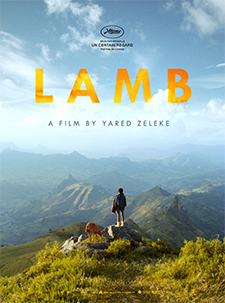 LAMB is the first film from Ethiopia to be included in the Official Selection at the Cannes Film Festival and the country's entry for the Best Foreign Language Oscar. Highly praised in Cannes and Toronto, the film has enjoyed international press attention in the Daily Monitor in Ethiopia, the New York Times, the Guardian, as well as coverage on BBC, CNN, and other media outlets. Tiny Senegalese hero Kirikou is back in this sumptuous follow-up to the universally beloved Kirikou and the Sorceress.